Red O ring at the bottom : Turning clockwise for tap on , turning anti-clockwise for tap off. 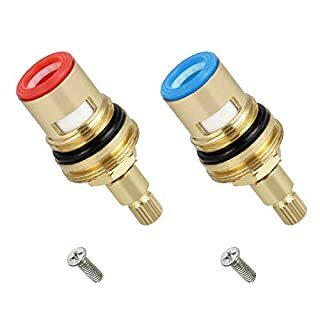 usually used on the right hand side Blue O ring at the bottom : Turning anti-clockwise for tap on , Turning clockwise for tap off. 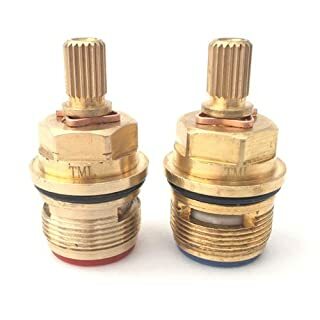 Usually used on the left hand side 1/2" 20 spline ceramic cartridges. 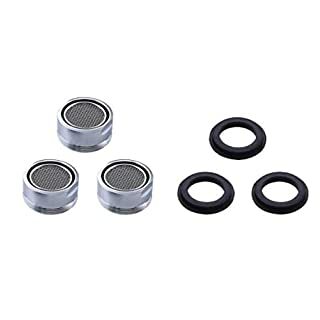 PREMIUM QUALITY with metal reinforced silicone gaskets and the hardest ceramic available. 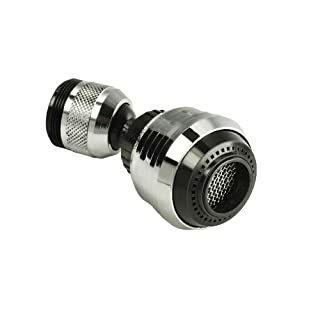 Chromed brass kitchen/bath tap aerator. 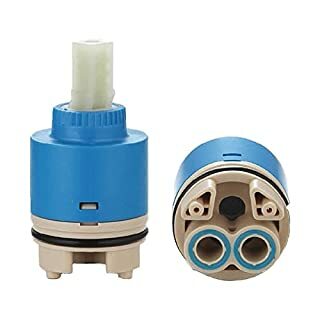 It is 24mm in diameter male connection equipped with a filter and washer. 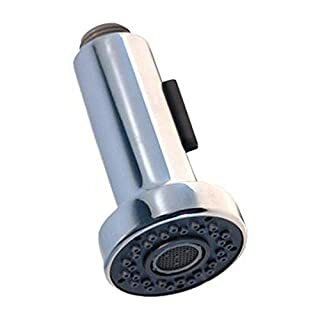 It is a great Anti Splash and Water Saving tool. Simply built with the great outcome of water saving feature. 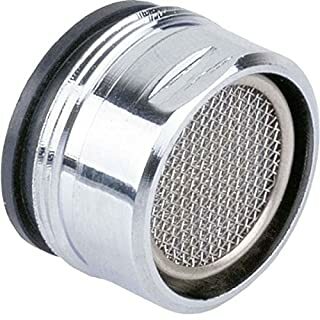 It splits down water stream onto many smaller ones, aerates and filters it in the same time. In practise you'll still see the same water flow but it seems softener, saves water and works as an anti splash tool. 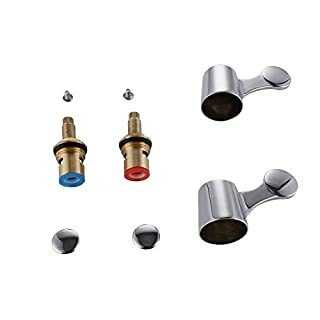 Product Description The Smart Spray is a new universal pull down replacement spray head designed to easily install on your existing kitchen faucet. 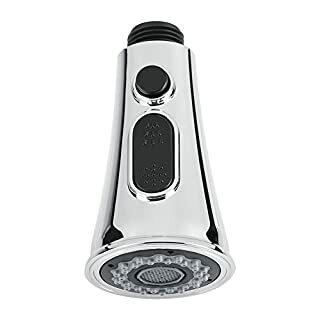 It features an elegant ergonomic design with two water-saving spray options of wide and stream sprays. SPECIFICATIONS -Material : Engineering Grade Plastic (ABS) -Finish : Polished Chrome -No. 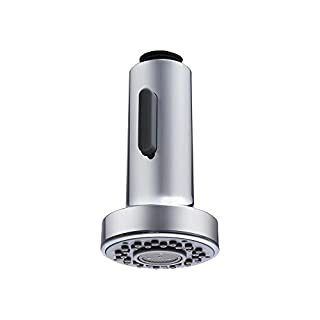 of Settings : Two -Connection : Universal 1/2-inch -Net weight: 74g -Package Includes: 1x Spray Head Features: Replacement or spare spout head for kitchen sink mixer tap. Push button for 2 spray settings: rain and bubbling style. ABS plastic materials and plating Chrome finish. 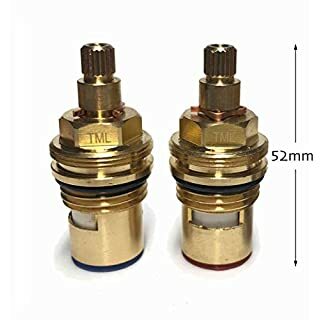 Universal 1/2" connection for attaching to the flexible pull out hose of a pull out spout kitchen Faucet. Easy to install and Clean. 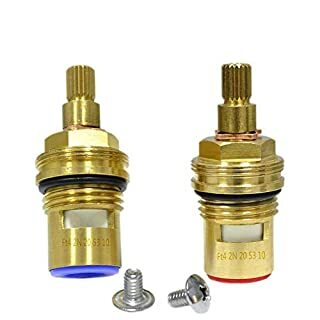 Premium Tap Cartridges Replacement Compatible Flomasta Screwfix 2961F 24mm x 9mm spline. 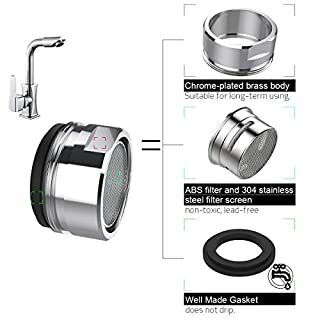 Fits a wide range of tap brands but you must check full dimensions in the second image to check compatibility with your model. 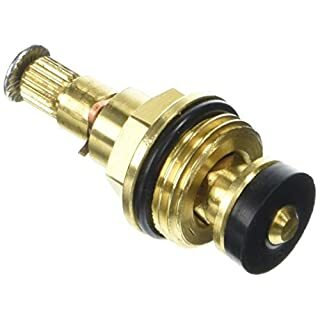 Valves are BSP 1/2" which are suitable for Kitchen and bathroom sink/ basin / lever / mixer taps. Please note bath cartridges are usually a larger size. This cartridge has 20 teeth on 7.6mm spindle to connect the tap handle. 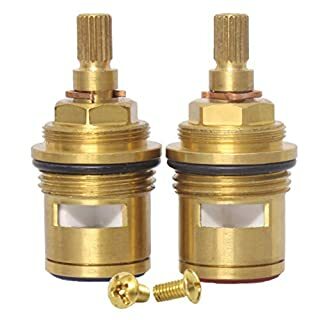 Our cartridges comes as a pair to easily replace both your hot and cold sides Fitting instructions and solid brass screws are provided. 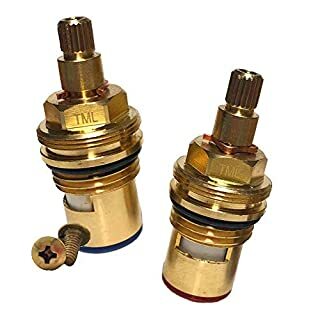 Tap Cartridge, most common size, fits many B&Q taps. Premium Quality, BSP 1/2", 20 spline, 52mm height. 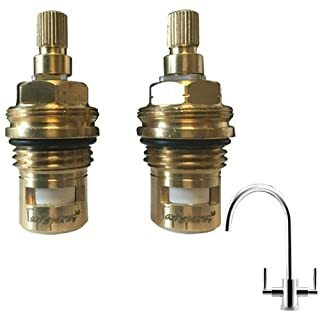 You will receive a pair (one clockwise/ one anti-clockwise) to repair both hot and cold taps. Supplied with fitting instructions and solid brass screws. 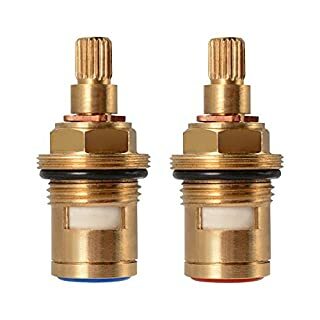 DECARETA Tap Cartridge 20Teeth Ceramics Brass Disc Tap Replacement Tap Valves for Bathroom Kitchen(2Pack Cold&Hot) If your taps are leaking or won't shut off, then you just need one of these Replacement Cartridges and instead of buying a new faucet. Features: *20 Teeth on Spline. *Rubber O ring at the bottom, with threaded collar. *Suitable for both cold water and hot water. 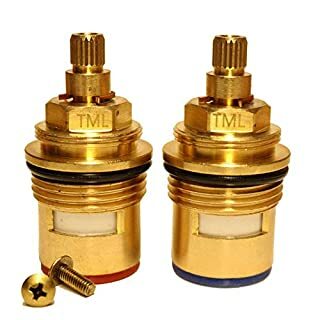 Product Name: DECARETA Tap Cartridge Material: Ceramics&Brass Colour: Golden&Blue&Red Weight: 100G Size: (Please view the picture for detail dimensions) Length:53mm Outer Diameter:7.6mm Inner Diameter:4mm Teeth on Spline: 20 Teeth Thread size: G1/2 (1/2" 20.5mm) Package Content: 2pack of tap cartridge(1*Blue&1*Red),with 2*4mm screws AATENTION: Check Number of serrations on existing valve stem before purchase.